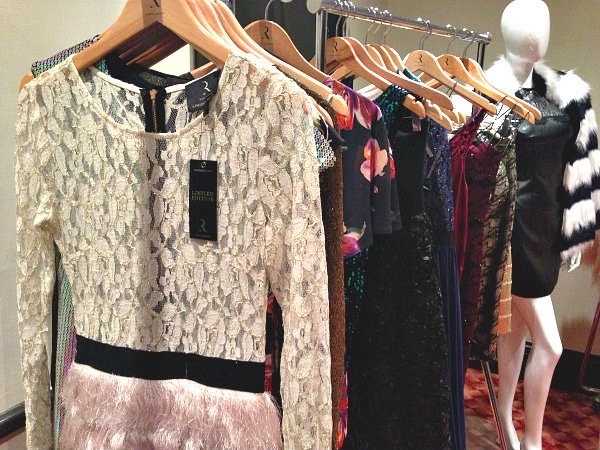 A couple of weeks ago I was kindly invited to the Rare London Manchester Blogger Event by the lovely girls at Label PR. After reading that the evening would involve gorgeous party dresses, cocktails and a chocolate making class there was no way I could say no! I headed into Manchester City Centre to the Renaissance Hotel where the event was already in full swing (oops I was a little late!) and I was instantly greeted by Rhian and Carey from Label PR with a cocktail. The function room had been set out with tables in the centre of the room for us all to participate with the chocolate making class, and round the outside were rails of stunning dresses and coats from the new Opulence Collection. The Opulence Collection is full of perfect party wear for the Christmas and New Year season - think lots of garments adorned with crystals, sequins, feathers and faux fur - there is something for everyone from that little black dress to more daring multi-coloured jewel encrusted items. This faux fur monochrome coat was a big favourite with the bloggers at the event. It's so striking and looks really warm and cosy whilst being stylish at the same time. 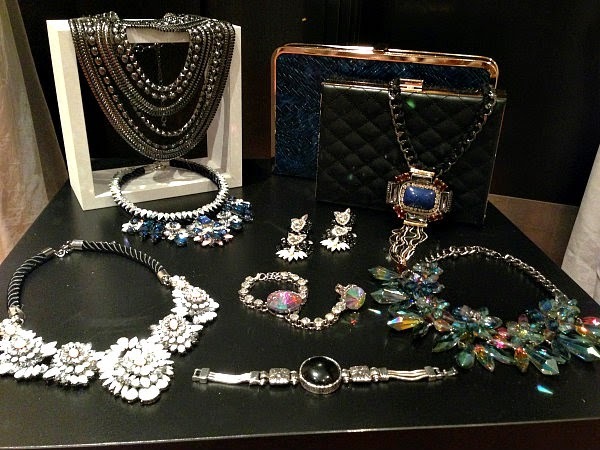 The Opulence Collection also includes some seriously stunning accessories to finish off your outfit. Statement jewellery and clutch bags were placed on display tables for us to ooh and ahh over and, again, there were lots of styles to suit everyone's tastes. Now....on to the chocolate making! 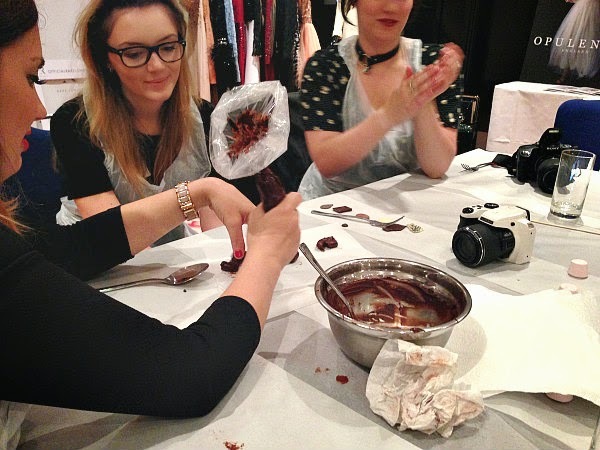 I really like attending blogger events where we can get stuck into activities and this chocolate making class was one of my favourites so far. I think it encourages us all to chat and get to know each other and quickly gets rid of any awkwardness. We were shown how to make giant chocolate buttons and chocolate truffles and were then left to our own devices to try an recreate what we'd just seen. At this stage it got VERY messy!! I sat with my blogger pals Jess, Georgie, Katie and Clare and we had a really fun evening catching up, getting covered in chocolate and drinking cocktails! 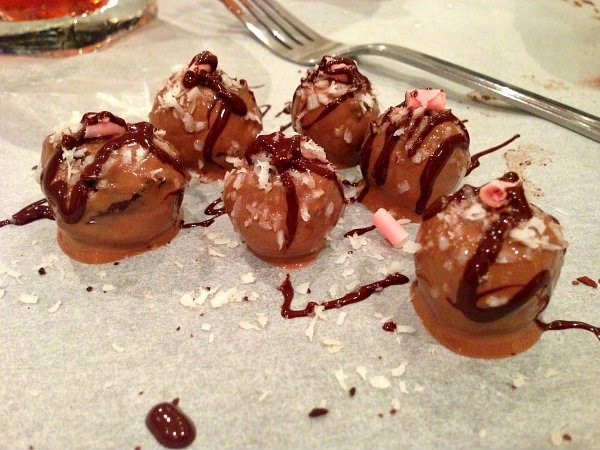 Here are my finished truffles! I was actually quite pleased with them for my first attempt and they tasted delicious too! 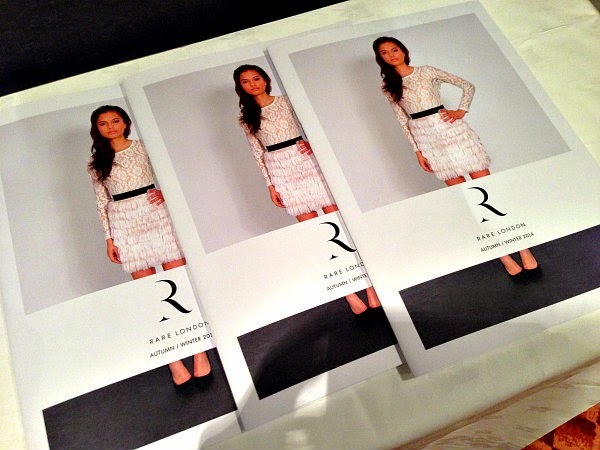 A big thank you to Rare London and Label PR for having me - it was a great event and I loved the fact we got to see the new range before its release! Those truffles look delicious :O and the garments are beautiful! Those hard case clutch bags are absolutely gorgeous and I have to say I think your truffles look really good! Looks like a fab event, hope you had fun! I went here too! Wasn't it so much fun! Enter my £50 Sugarhill Boutique Give away!